9th Circuit holds actress owns copyright in her individual performance, reverses lower court’s denial of preliminary injunction. Garcia v. Google (link). See blog post on this case here. 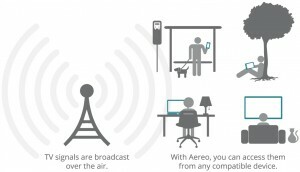 Utah federal district court issues preliminary injunction order against Aereo, limited to Tenth Circuit. Aereo’s first loss in court, although courts in California and the District of Columbia had enjoined FilmOn X, which provides retransmission of over-the-air broadcasting using the same technology. Communityy Television of Utah v. Aereo. The USPTO has published more material relating to the Green Paper on Copyright Policy, Creativity and Innovation in the Digital Economy (link). A transcript of the December 12, 2013 public hearing is available here. An old legal saw warns that “hard cases make bad law.” The Ninth Circuit Court of Appeals decision in Garcia v. Google may be a good example of this maxim. The issue facing the Ninth Circuit was whether an actress can claim a copyright interest in her performance in a film and, if so, under the unusual circumstances in this case, whether the actress could use that copyright to compel Google to remove the film from Youtube. Utah Court’s Aereo Decision: A Preview of Supreme Court Outcome? It’s difficult to believe that so many judges and lawyers could disagree over what would appear, at first blush, to be a straightforward issue of copyright law. Can a company legally copy over-the-air TV broadcasts and transmit them to subscribers over the Internet, as long as it stores and transmits a separate copy for each customer?